There have been many stories borne out of the Great War that have seen families split apart, marriages broken and young soldiers lost for decades as conflict raged across Western Europe. But one story to emerge this week could contain the longest-ever wait for one British solider who has finally been laid to rest after being found and identified. Second Lieutenant Eric Henderson served with the London Regiment Post Office Rifles, joining as a private just after the outbreak of war – in 1915 – before eventually commissioned as an officer. For the best part of 100 years, however, he was declared missing in action after he was cut down by a German infantry line on the Western Front. 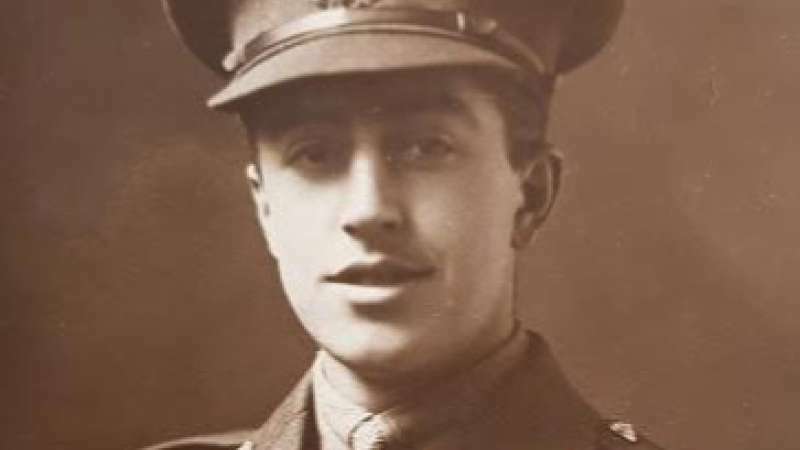 At the time of his death on 7 June 1917, Henderson was just 21. A century later, workmen were widening a road near the village of Voormezele, West Flanders when they stumbled across Henderson’s remains. Unlike many of the wartime dead who still crop up in Belgium, France and other areas of intense fighting, they were able to identify him almost immediately – thanks to a single silver coin buried with him that was engraved with his name and regiment. Following the discovery, the Joint Casualty and Compassionate Centre (JCCC) researched Henderson’s story further. They found that the location of his body was exactly where the Oak Reserve Line was located during the Battle of Messines – where the young officer’s regiment were stationed at the time. 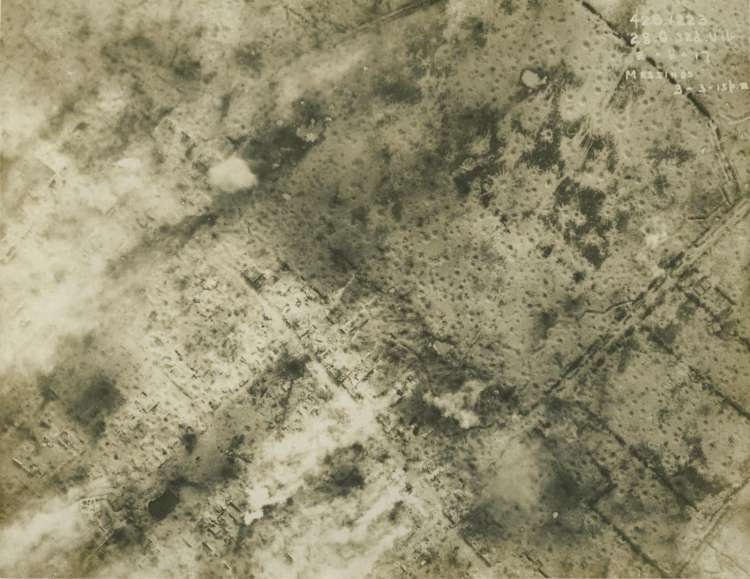 The battle itself was set off when 19 mines – some 450 tonnes of high explosives – that had been laid under German lines at the Wytschaete-Messines Ridge exploded, devastating their infantry and overwhelming them. The blast was so powerful that it was reported to have been heard in London. British forces then moved in to capture their four objectives known as Oak Trench, Oak Support, Oak Reserve and Oak Switch – four points on the German battle line – before they could turn their attention to the “Dammstrasse”, a particularly well-fortified position. Many of the allied casualties on the day where thanks to machine-gun fire that came from the White Chateau, an objective marked out for the 7th Batallion. When the builders discovered Henderson’s body, the Ministry of Defence got in contact with his surviving family members: his great nieces, Sarah Foot, Lucy Cocup and Judith Leyman. This week Henderson’s family will join locals, representatives from his old regiment and the British Embassy in Belgium to lay him to rest at a war cemetery near Ypres. 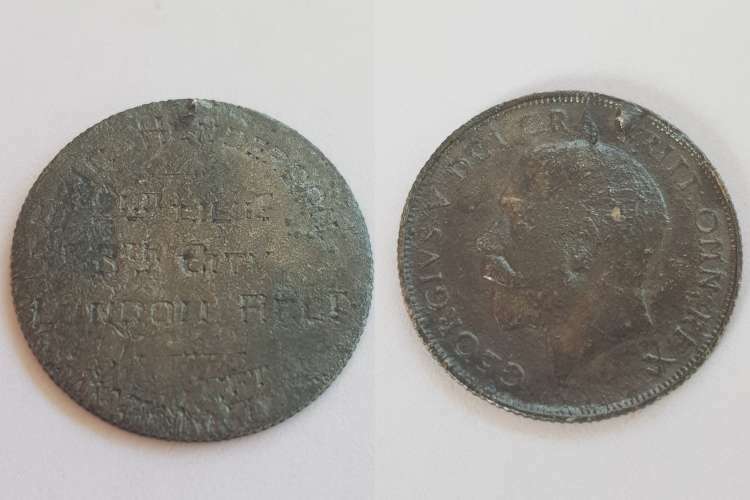 While the sisters do not know why he was carrying the coin with his name on it, they cannot rule out the possibility that he or his family had had it made so he could be identified in the event of his death. “I’ve been told that it was something he had done privately,” Mrs Foot added. On Wednesday, when he is finally laid to rest, that same coin will be with him.